Both Top (£19.99) & Bottoms (also £19.99) are from Ark Clothing, although it doesn't seem to have them on the website, they are definitely available in-store as they're new arrivals. However, I did find similar here and here from Ark Clothing, and here from Motel Rocks. what I like most about them is how well they fit to my body shape - I find that a lot of co-ords are skin tight and rather unflattering, or have loose, thin material that barely covers anything. Whereas, this matching set has it all. The trendy gingham print, monochrome style that is always safe to go with, and good quality, thick material that just feels genuinely nice to wear. My trusty chunky platform lace-up boots (phew, that was a mouthful!) are from H&M, (around £29.99-£35.99) but are sadly no longer available on the website but still seem to be in-stores! I just think it looks super cool and flattering, normally I hate having my legs out, but this two-piece has given me a completely different mindset! After all, Summer is the time to show your pins! What do you think to this Gingham two-piece set? LOVE it! I'm really into Gingham at the moment, and I love the fact that you found it printed onto a co-ord.. perfect! I'm going to check out Ark now! I've seen so many bloggers raving about it, but still haven't looked at it for some reason! 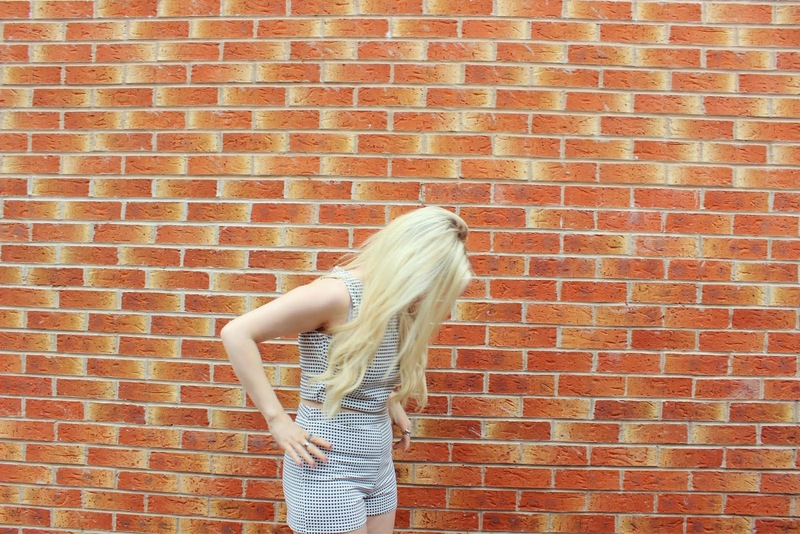 I absolutely adore this co-ord! I love co-ords and I love gingham so it's pretty damn perfect! I haven't been sold on co-ords yet, but I love the print of this! This co-ord is stunning!! Looks amazing on you as well :) Love how you styled it! Girl change your mind because gingham looks really good on you. Super cute look.